FUSION is an Electronics Manufacturing Services (EMS) company headquartered in Hillsboro, OR. Rapid growth over the past few years has created the opportunity for expansion and supplier program development. 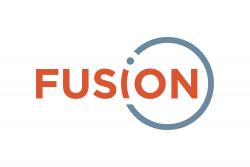 FUSION is a privately held company that offers excellent benefits, competitive salary and a great place to work and an opportunity for advancement. At FUSION, our mission is to create success in everything we do. We know that this success stems directly from our people, which is why we strive to bring out the best in every employee. We understand that if we start by hiring A+ player who is not only hardworking but also passionate about what they do, we have an incredible formula for a thriving organization. FUSION empowers people to think creatively, collaborate with one another, and make great decisions. At Fusion, our mission is to create success in everything we do. While this relates directly to the service we provide our clients, it also refers to our ongoing goal of promoting success within our organization – be it through individual career growth, working together to achieve team successes, or creating successful solutions for our company as a whole. We know that this success stems directly from our people, which is why we strive to bring out the best in every employee. We understand that if we start by hiring A+ players who are not only hardworking but also passionate about what they do, we have an incredible formula for a thriving organization. Fusion empowers people to think creatively, collaborate with one another, and make great decisions. Live the Fusion Values: Fusion team members strive to live our core values every day. We live, breathe, and believe in our core tenants. They are the foundation of our company. Every decision we make aligns with our values and supports the company’s mission of success. Keep Getting Better: At Fusion, there’s no such thing as “good enough.” We never rest on our laurels – and if there’s a better or more efficient way of doing something, we’ll find it. Ours is a culture of continuous improvement and perpetually growing from shared experience. Help each other win: We’re more than an organization – we’re a family. No one at Fusion operates in a silo. We believe in investing in our team, enjoying each other’s company, and contributing to shared success through mutual respect and collaboration. Do what is right: Every member of our team understands that true success comes from integrity. We know mistakes are a part of life – but when we make a mistake, we own it, fix it, and learn from it. We see challenge as an opportunity for team collaboration, learning, and growth. Deliver confidence: When it comes right down to it, we’re in the business of facilitating success – which means it’s our job to instill confidence with our work. Our customers should always know what to expect from us, and we deliver on our promise – every time. Purpose: This position is responsible for performing a highly diversified set of duties including installing, troubleshooting, repairing and maintaining production and facility equipment. This may necessitate dismantling, adjusting and/or repairing equipment according to maintenance specifications and repair manuals.Qualified applicant must understand production maintenance systems and processes to support the achievement of business goals and objectives. Debug equipment issues to a board or system level. Maintain machines and building interior to best in class standards. Follows schedule for equipment PM and maintain equipment calibration systems. Responsible for maintaining compliance with regulatory requirements (hazardous materials, TRI reporting, radiation licensing, etc.). Trains operators on preventative maintenance requirements. Interface with outside contractors for procured building maintenance and services. Assist in providing new employee safety training. Excellent problem solving, troubleshooting, and high level of attention to detail. Ability to correctly diagnose equipment problems, and implement corrective actions, with little or no supervision. Ability to read and understand mechanical equipment and electrical drawings and schematics. Current State Drivers License with a clean driving record. Able to organize and manage both information and time effectively. Self-motivator; ability to work independently under general guidance and direction. Ability to independently learn systems and processes related with the role. Ability to be available on-call for high level facility emergencies. Participates in the Safety and housekeeping plans. Ability to safely use ladders and/or other lift equipment when needed, as well as ability to lift up to 50 lbs, as needed. Associates/Technical Degree or equivalent combination of education and experience. Minimum 2 years of experience in direct equipment maintenance.